Even people who have done their own taxes for years can reach a point where their return becomes more complex and pushes them beyond their comfort level. “It will be worth it in the long run,” Hockenberry said in an email. Preparers with certain professional credentials — like certified public accountants, tax lawyers and tax specialists called “enrolled agents” — generally must meet minimum standards for education and training. States license CPAs and lawyers, while enrolled agents are federally licensed. “It’s better if a preparer has some credentials,” Thompson said. The IRS tried several years ago to regulate all paid tax preparers, but a federal appeals court rejected the effort. The IRS does, however, offer an “annual filing season” program in which preparers voluntarily take continuing-education classes and a test to stay current on tax rules. Those completing the program, along with preparers holding professional credentials, are listed in the agency’s searchable database of tax preparers. Also, Connecticut recently adopted new standards for commercial preparers that will be phased in over several years. The new law aims to protect taxpayers and ensure that income-tax preparers are qualified, in light of “increased evidence of preparer error, unfair practices and even fraud,” according to a statement from Kevin Sullivan, commissioner of the state’s Department of Revenue Services. At a basic level, all paid preparers must have a preparer tax identification number, or PTIN, issued by the IRS, Hockenberry said. If your preparer doesn’t have one, that’s a red flag. Taxpayers should always ask for references and inquire how much tax education the preparer gets during the year and what the preparer’s areas of specialty are, Hockenberry said. 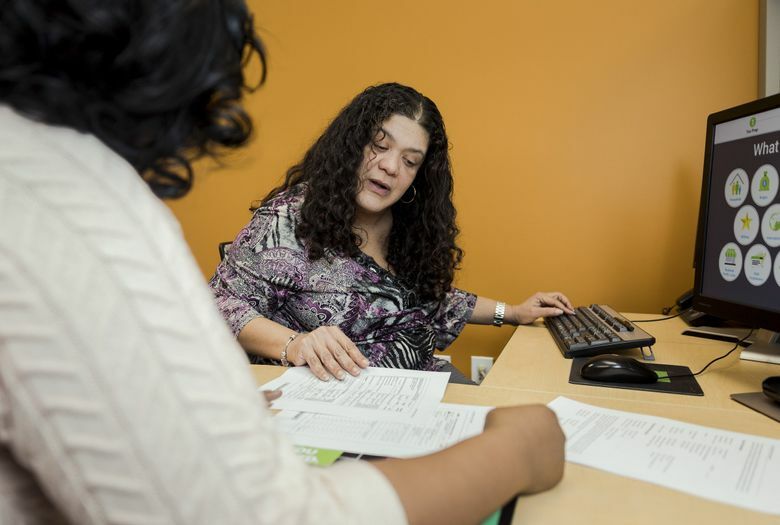 H&R Block’s website, for instance, describes a 60-hour tax course for potential employees, covering topics like wages, filing requirements, ethics and other areas. Q: How much should I expect to pay for professional tax preparation? A: Fees vary by geography (higher on the East Coast than in the Midwest), the education of the preparer (CPAs and lawyers tend to charge more) and the complexity of the return, Hockenberry said. Expect to pay $100 to $170 for a typical Form 1040 with a Schedule A, assuming you have only wage and investment income. Trained preparers with the Volunteer Income Tax Assistance program provide their services free, though you must meet income or other requirements to be eligible. For a site year you, you can go to the IRS website. Q: Where can I search for a tax preparer? A: In addition to the IRS database, various professional groups offer search tools, including the National Society of Accountants and the National Association of Tax Professionals. Q: How can I file a complaint about a tax preparer?